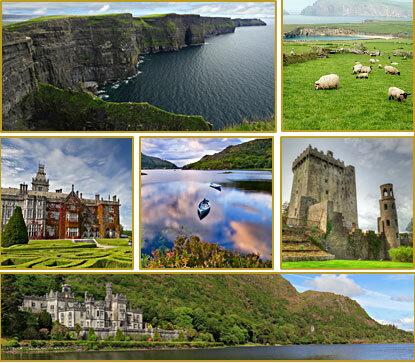 I have a special fondness for Ireland and am looking forward to sharing my love of all things Irish with quilters and their spouses/friends from around the globe on this 12-day journey, June 3-14, 2015. The tour is a sight-seeing tour with a focus on creativity and learning to see your world with an artist's eye. Ireland seems to be on everyone's bucket list so this is your chance to make your dream come true. 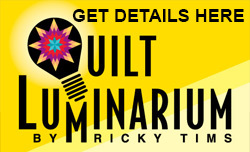 While this tour with me is certainly targeted to quilters, it's not a quilting tour, so non-quilters will enjoy all of the activities. 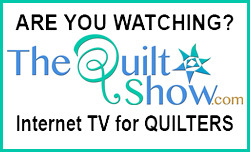 This tour does include a two-day master-class, but other activities will be available for the non-quilting attendees. One particular highlight will be sharing my passion for the Titanic. The world's largest permanent exhibition for the Titanic is in Belfast, Northern Ireland (where the Titanic was built). I am a Titanic buff, so expect to learn things you never knew about the historic tragedy. From Belfast to Donegal and Galway, you will experience Ireland in a unique and special way. 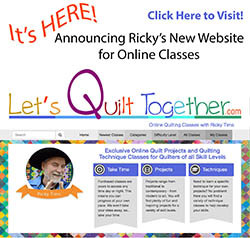 Visit SewManyPlaces to register today! If you've ever wanted a magical tour to Ireland - this is your chance! Payment plans available.